Social media is a powerful thing and the Hull History Facebook pages are no exception, particularly for community action. 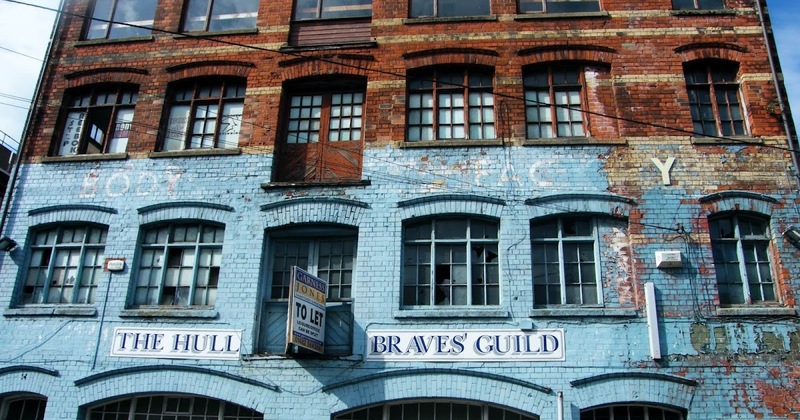 Jane Hitchin started a post on the Facebook page Old Hull about saving a building that’s been on Hull’s skyline since the 19th century; the Hull Braves’ Guild. The picture at the top was of a wonderful old red brick building with the words The Hull Braves Guild painted across the front. You can see the photo in this post and follow the link to the Facebook page above. Reading down, it appears that this building was to be demolished on 22nd August unless the planning committee decides otherwise. In 2016 a bid to list this Victorian building failed and plans are taking place to demolish it and build a venue in its place. The Hull Braves Guild is also part of the story of Mira Johnson and The House of Mirelle. The Braves Guild raised money to advise, help and house disabled and older people of Hull. It had an 112 year history and closed in December 2010. Mira was a lifelong and selfless personality in the landscape of Hull’s charitable organisations. Throughout her life she worked to benefit charity including The Hull Braves Guild. Public donations came from her staging large theatrical fashion shows that took place – mostly – in locations in Hull. The importance of Hull Braves Guild was in the minds of the public officials and the public at this time. It is unthinkable that the building that housed the charity could be demolished it is a vital part of Hull’s social history and must remain. The link between Mirelle, Mira and The Braves Guild is one that speaks to its relevance to Hull’s history overall. She would be outraged and hurt on behalf of those the charity helped. Once gone, this building will never be replaced.